I'm french and I search the numbers of production of my 90' Olds Cutlass Ciera SL Coupe 2drs. You have got a pretty rare find there. 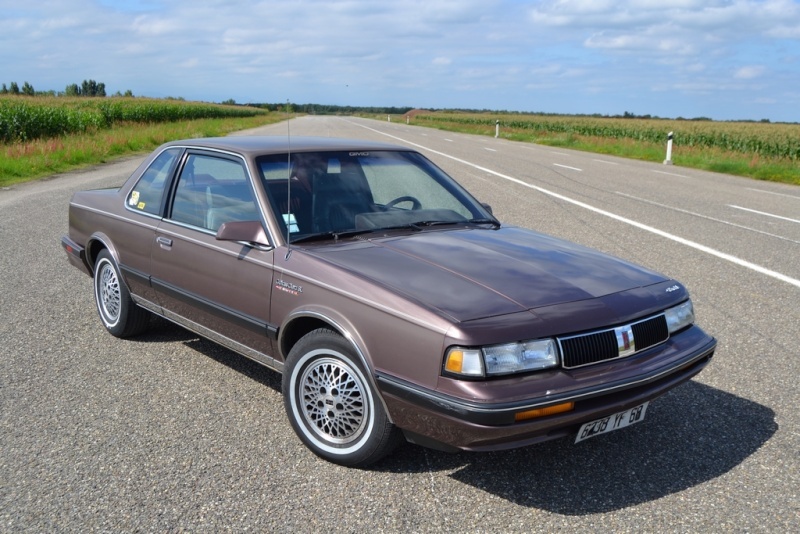 Oldsmobile did not sell the Cutlass Ciera SL coupe in the United States after 1989 (when only 2,548 were built). In 1990 all Cieras in this country were S models (base models) and "International" models. International here is a trim level and has nothing to do with selling the car overseas. Your car has many "International" features (alloy wheels, leather bucket seats, floor console, V6) yet the exterior trim is that of a 1989 SL coupe in this country. I would try contacting GM of Europe to see how many of them were imported to France. For your information, in 1990 there were 2,203 S coupes and 411 International coupes sold in the U.S. Thank you for your answer. My Olds come from Swiss ! Not sold in France !